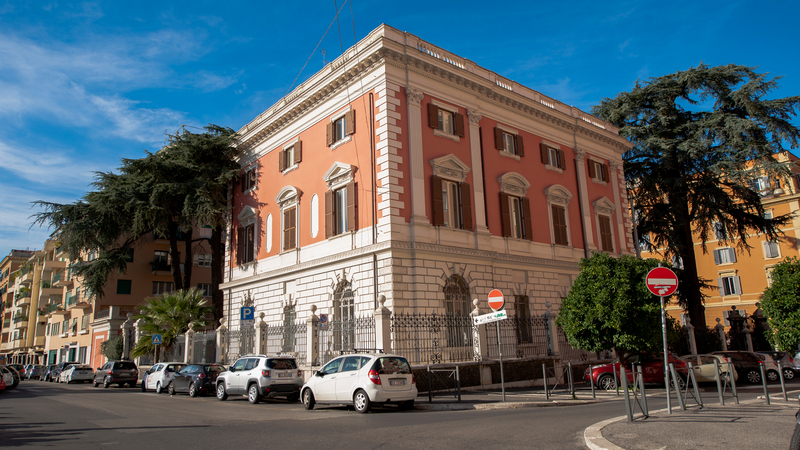 The University of Notre Dame has purchased a villa in central Rome to be used as a student residence hall for Rome Global Gateway programs. The century-old building, quite new by Roman standards, is a city block away from the headquarters of the Notre Dame program at 15 Via Ostilia in Rome’s Rione Celio neighborhood on the slopes of the Caelian Hill. Scheduled for occupancy in the fall of 2017, it will house 100 Notre Dame students and a rector and residence hall staff. One of the five Global Gateways worldwide (the others are in Beijing, Dublin, London and Jerusalem), the Rome Global Gateway serves as a hub supporting the academic, educational and cultural mission of the University. The Gateway also fosters research and graduate education and develops and maintains institutional relations with universities, educational foundations and organizations in Italy, Europe and the Mediterranean, as well as with the Holy See. Originally published by Michael O. Garvey at news.nd.edu on January 27, 2016.